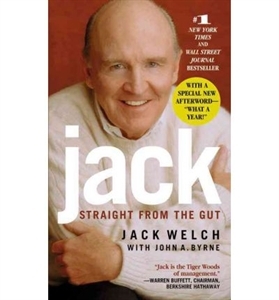 I began reading the book Jack: Straight From The Gut by legendary former GE CEO Jack Welch. His life story shares how he always had the courage to obtain large goals and break free from problems. One of his earliest accomplishments within GE was dealing with a severe problem that could have wiped away his role within the business. One of the best quotes from Jack is “Good business leaders create a vision, articulate the vision, passionately own the vision, and relentlessly drive it to completion”. One of the common ingredients in success is learning to persist even when it seems frustrating or hopeless. The reality of your own mental health will impact the organization you are involved in. This may be your family, job, or place where you spend a great amount of your time. It is vital to learn to be passionate and help those around you. Jack shares in his book how mentors have played a huge part in the different periods of his life. He also spoke about not being hard on someone that was already facing a tough problem. Jack Welch says that we know when we have made a mistake. You often help others by showing them you are concerned and want to believe in their potential to improve the problems they created. These simple lessons are valuable for each of us. When you are with others, you can build them up. It also helps those who struggle mentally to feel supported, appreciated and part of the team. The best businesses thrive with members who feel happiest and given the ability to use their gifts. You may be a piece of the positive change that creates a higher level of success and teamwork.